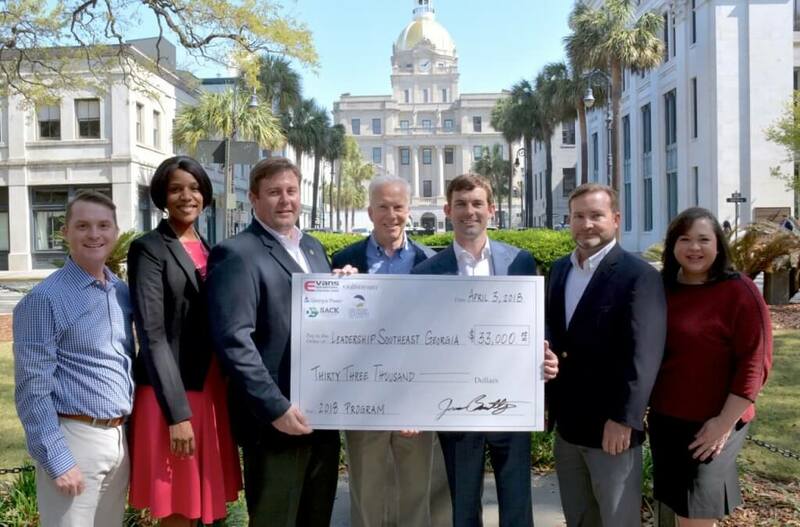 (SAVANNAH, GA) Leadership Southeast Georgia announces the 2018 major sponsors have donated $33,000 to the 2018 class. These donors include Evans General Contractors, Gulfstream Aerospace Corp., The Sack Company (SACK), Georgia Southern University and Georgia Power. The annual five-month leadership program is designed to equip and empower community leaders to promote positive growth while improving the quality of life in the southeast Georgia coastal region. Jesse Bentley, Savannah division manager for Evans General Contractors, was a member of the leadership class of 2016 and encouraged his company to support the program ever since. Evans General Contractors has donated $7,000 to this year’s class. Leadership Southeast Georgia began in January 1999 when leaders representing the business, local government and education communities in 10 southeast Georgia counties collaborated to create a program that crosses county lines to promote community and economic development. This year’s class includes 29 participants who live and work in 10 southeast Georgia counties. The class will travel to six different counties to complete five sessions regarding a variety of leadership topics that include health and public safety, natural resources, military installations, education, agriculture, and transportation & infrastructure.